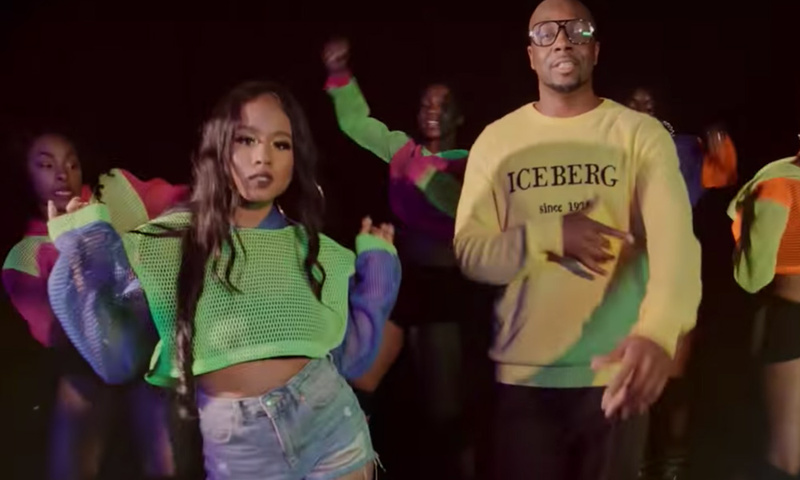 Last Thirsday multi-platinum and Grammy award winning recording artist and music innovator Wyclef Jean and Heads Music debuted artist Jazzy Amra Vocalist released their new music video “You Got Me” where they kick off the summer with a fresh 90’s vibe. Heads Music is a woman owned label and talent management company. Wyclef is also signed to this label. The Bronx, NY born vocalist and Wyclef protegee burst onto the New York hip hop scene, collaborating with Dave East on “Jazzy’s Interlude” from his Paranoia EP as well as “Slow Down” from the project which received 1 million YouTube views for the music video. Catching the attention of international superstar Wyclef Jean, Jazzy has been signed to his label Heads Music and is featured on Wyclef’s album “Carnival III: Fall and Rise of a Refugee.” “You Got Me” will be a part of Wyclef Jean’s forthcoming mixtape, “Wyclef Goes Back to School”. Wyclef and Jazzy spoke about him developing her sound during their MTV TRL Appearance last Thursday.